North Wall Donated by M.A.C.V. 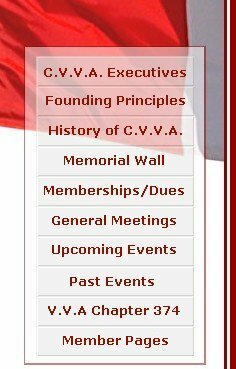 "Michigan Association of Concerned Veterans"
The North Wall was a vision of Ric Gidner, Ed Johnson and Chris Reynolds of Michigan to honor Canadians who served in The Vietnam War and made the supreme sacrifice. In 1995, the City of Windsor, Ontario was approached by M.A.C.V. and the proposal was presented to the Mayor and to the City Council. The site at Assumption Park on Riverside Drive in Windsor, Ontario, across from Detroit, Michigan was approved by the City Council and the wall had a new home. 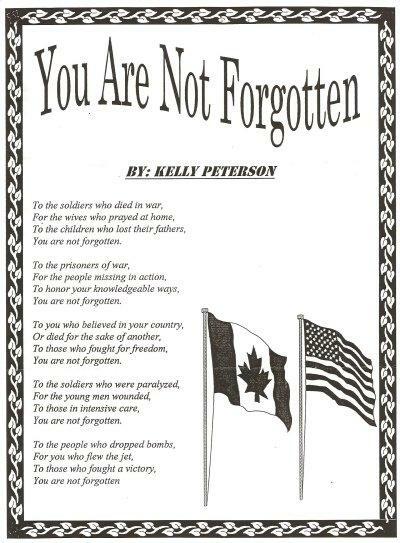 On July 02, 1995, the Canadian Vietnam Veterans Memorial was dedicated at a moving ceremony, with thousands of people in attendance. The names of the Canadians K.I.A. (killed in action) or M.I.A. (missing in action) in the Vietnam War are engraved on the black granite panels.